As a part of its Beautifield program, designed to create a brighter and more festive downtown, Downtown Mansfield, Inc. has announced that the winner of the Fall Storefront Design Contest is What Goes ‘Round Thrift Shoppe. The window display at the Collection Center is full of bright, festive, fall themed decorations and embodies the efforts of the Beautifield initiative. 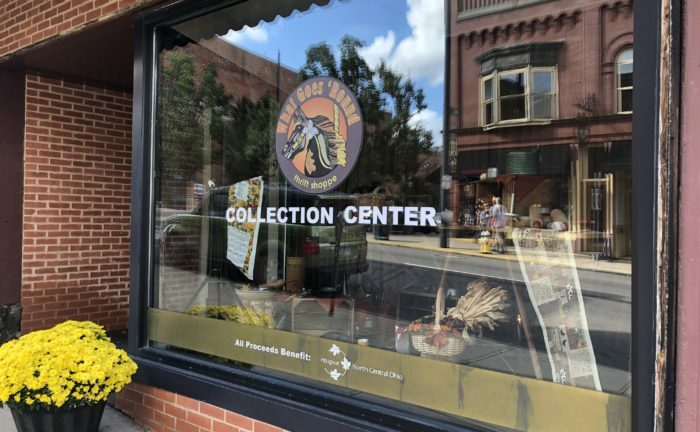 The runner ups for the Fall Storefront Design Contest include Carrousel Antiques, the entrance to Cleveland Financial, and Vitality Natural Wellness and Medspa. The award for the Winter Storefront Design Contest will be awarded in early December. Photos of the winning storefront are above and to the right. Congrats to What Goes ‘Round Thrift Shoppe!